The Page Editor is the heart of Soholaunch. What once required many lines of html coding can now be done by draging and dropping items through the page editor tool. 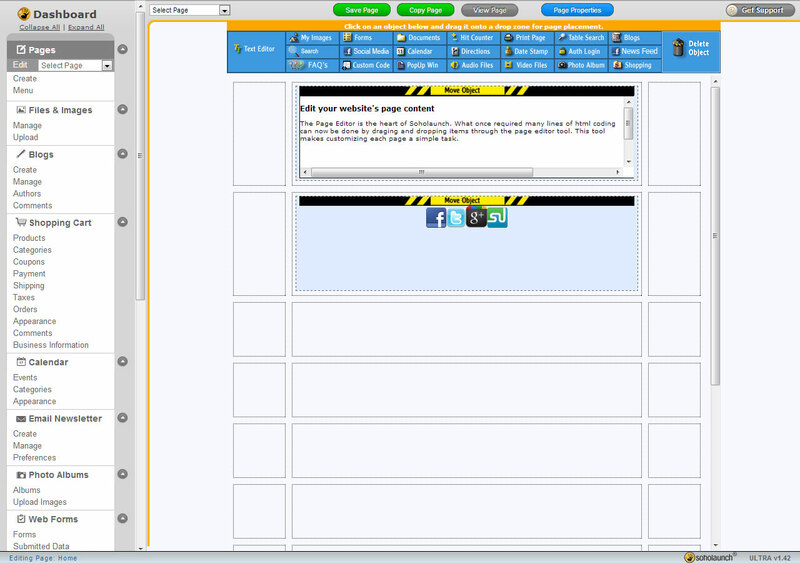 This tool makes customizing each page a simple task.